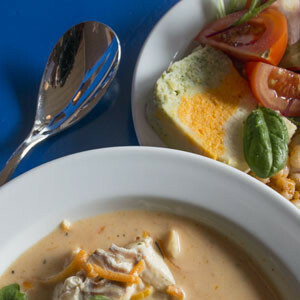 On Kajkanten Restaurant, you can enjoy good home cooking with traditional Bohuslän elements. 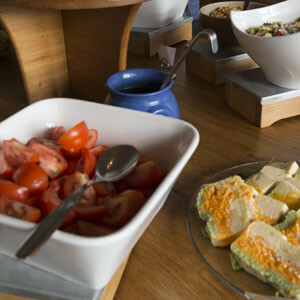 It offers lunch with a large varied salad buffet, freshly baked bread, KRAV-labeled coffee and homemade cake / dessert. Are you peckish there are plenty of coffee, sandwiches, äggost and a range of homemade pastries. 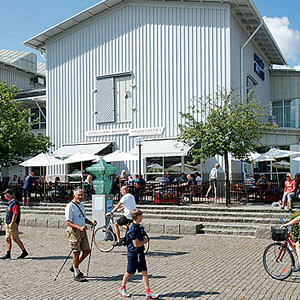 You’ll find the restaurant Kajkanten just inside the entrance to the Bohusläns museum. If it is nice weather, you can sit out on the terrace overlooking Bäveån.